Hi! 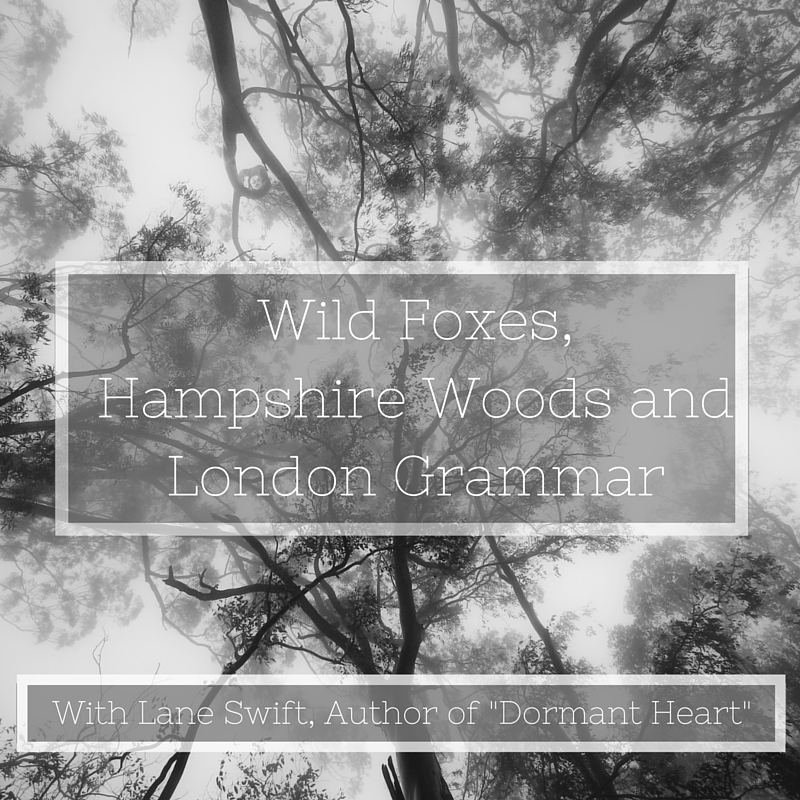 I’m Lane Swift, and I’m excited to be able to share some of the things that inspired the writing of my newly-released novella, Dormant Heart. About a year ago, someone on my Facebook feed linked to an article posted on “We The Urban,” a Tumblr account dedicated to fashion and art, showcasing the photography of Katerina Plotnikova. Check out the photographs here! I don’t know what possessed me to think I could write that story, except that I had building work going on in my house at the time, and I was stressed, and looking for a light-hearted project to work on. In the end, that obscure plot bunny became Dormant Heart and it turned out rather deeper and more emotional than I thought it would. It was an easy decision to set Dormant Heart in the woods on the South Downs, which are a few miles from where I live in Hampshire, in the south of England, and somewhere that I regularly cross-country run. England is a small country, and it might be hard to believe that it’s possible to get lost in our tiny stretches of countryside. Believe me, it is. Only last weekend, I got lost in the woods on a run and ended up trespassing on a country estate, in the middle of a shooting range, a field away from a huge herd of deer! Once I had the setting, Josh had to have a reason for being lost in the woods with a camera. That was as much as I had of a plan! I’d intended to write a short story, 20k words maximum, told entirely from Josh’s point of view. But as Callum started to evolve as a character, I realized he needed a “voice,” so to speak. So, the second half of the story was written from Callum’s point of view, and the word count went up to 30k. Then my first reader told me that I’d ended the story too soon—and there were other scenes that needed more detail. By the end, this short story had grown into a novella of 50k words. Almost a novel! All that, through banging and drilling and regular interruptions for cups of tea and biscuits (English builders really do need to be fed and watered every couple of hours). Ordinarily, I like to work in silence. However, I always, always make a playlist for whatever story I’m writing, and use it to get me into a mood, or zone. I might play the music while I’m running, or doing things like driving, housework or cooking. For Dormant Heart, I listened almost exclusively to London Grammar, particularly their songs, “Hey Now” (the live KEXP version on Youtube is stunning), “Wasting My Young Years” and “Night Call” (a Kavinsky cover). I like a wide variety of music, from many eras, and usually my playlists feature at least ten or fifteen songs, each from different artists. But London Grammar’s songs seemed to completely capture the mood of this story, most especially Callum’s mental state. I have no doubt that in this instance, the music definitely shaped the direction the story took, and inspired its overall tone. Again, this wasn’t what I was expecting to happen. London Grammar’s musical style isn’t one I usually listen to—it’s described as ambient or trip hop (don’t ask me to explain what that is!). Nonetheless, I haven’t tired of their sound, despite the hundreds, maybe thousands, of times I’ve listened to their songs since April last year. What about you? I’d love for you to tell me about a song that has inspired or inspires you, and in what way. Leave your answer in a comment before 14th February for a chance to win a $10 credit for Dreamspinner Press. 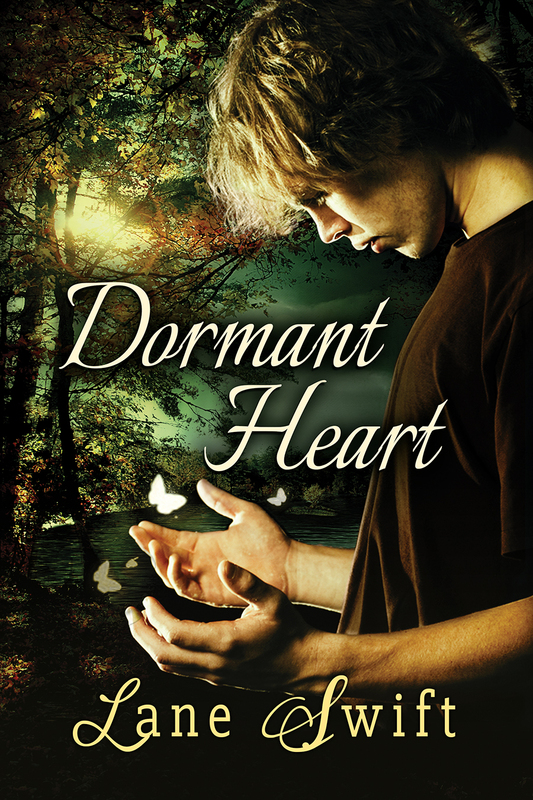 Check out Dormant Heart here! Amateur photographer Josh Thornton is out but not so proud. He’s estranged from his family, his boyfriend dumped him, and his job at an estate agency is in jeopardy—especially after he crashes his boss’s car in the middle of nowhere on his way to Hartley Manor. Callum Black works at the English country estate and lives there in an isolated cottage. Left mute by a childhood accident, he’s more comfortable in the company of animals than people. But when Josh—literally—crashes into his life with his camera and his friendship, Callum realizes his peaceful solitude has been more than a little lonely. Josh’s affection for Callum deepens even as he’s consumed by doubts over Callum’s sexuality and whether Callum could ever love him. And Callum is haunted by the secret that stole his voice—a secret that keeps him tethered to Hartley Manor. When the past comes hurtling painfully back into the present, Josh and Callum have to overcome their fears and breathe life back into their dormant hearts in order to have a chance at their own picture-perfect future. I find Myth by Keane inspiring. It is sad but with a theme of persevering. It also reminds how important loved ones are and that the effort to keep relationships strong is worth it. Thanks for the post! Dormant Heart sounds really good. I have added it to my TBR list. REM’s Losing My Religion inspired me to leave an abusive husband and get my PhD and make a new life for myself. Always wished I could let the band know they saved my life. Congratulations on the release of Dormant Heart. It sounds like an interesting read. I’m an introvert. I like to listen to Butterfly (Don’t let my sun go down) by FAKE? Ft Anna Tsuchiya, it’s a sad song but a reminder that I can’t just hide/avoid people. I know a few of Keane’s songs. They really have a way of getting under your skin. I didn’t know Myth, and went to have a listen. Thank you! I think these replies are going to direct me to some great new (to me) music. Thanks for reading my blog post and joining in today. REM are another favourite of mine. They have so many rock-solid tunes. H.B. Hello, fellow introvert. It’s hard sometimes, to be out there in the world, but sometimes necessary. Good things can happen. I went to listen to Butterfly. It wasn’t what I was expecting, in a really good way (the name of the band made me think it might be some sort of rap or dance tune!). Somewhere Over The Rainbow is a classic and it always helps me when I feel down and makes me realize things will get better with time. Congrats on your new release, by the way! You’re a new author to me but I’m sure I will love this story, I plan to start it tonight. Over The Rainbow is a hopeful, beautiful, timeless song. So uplifting. My daughter played it at a senior’s home when she was younger, during a Christmas concert, and I tear up every time I remember it. Some of the elderly folks were suffering with dementia, but that song seemed to trigger old memories. A good few perked up when she started playing, and hummed or sang along. I hope you enjoy Dormant Heart. Thanks for stopping by to comment today. Standing Outside the Fire by Garth Brooks inspired me to take a chance on a relationship with a guy I knew could badly hurt me emotionally. The relationship didn’t work out & I was devastated. But the song is inspiring because it reminds us to live & not to let life pass us by. Thanks for the post & giveaway. I’m sorry the relationship didn’t work out. I hope you’re feeling better about it now, and that it’s at least left you stronger and wiser. Sometimes you do have to take a chance. Garth Brooks isn’t known at all in the UK, but I’ve lived in the USA, and got to see him live once. Taylor Swift was the support act!! I don’t know if it inspires me exactly but Don McLean’s Vincent, about Vincent van Gogh, really touches me. I’m an art historian so having a song about an artist, one that struggled and eventually succumbed to the struggle is very important to me. Juliana, I can’t imagine a person alive that wouldn’t be moved by that song. And I imagine that it has brought people to art, in particular Van Gogh, who might not have otherwise known anything about him. Thanks for taking part in the giveaway! I used a random number generator to pick a winner. That winner is Susan! DSP will be in touch to send you your credit. Thank you all, for taking part.